One of the latest and most popular trends in kitchen design is integrating kitchen appliances – the refrigerator, the microwave, the dishwasher, and more. The process features doors which hide the appliances so they appear as cabinetry offering an attractive, streamlined display that blends seamlessly with other furnishings in the area. Additionally, integrating appliances hides clutter while making your kitchen look larger and more organized. Regardless of your style, and whether you are designing for a new home or remodeling the one you have – integrating appliances may be just what you want to do. Let’s explore the world of integrated appliances in detail to help you make your decision. Fully integrated appliances are normal appliances designed to blend seamlessly into your kitchen cabinets and completely hidden. Built in when your cabinets are installed, fully integrated appliances look just like your cabinets – no hinges or vents or other unsightly attachments visible. The goal of fully integrated appliances is to enhance the design while added an extra measure of versatility. What Appliances Should Be Integrated? Ultimately the decision of which appliances to integrate is yours, but there are several popular choices depending on your style and preferences. 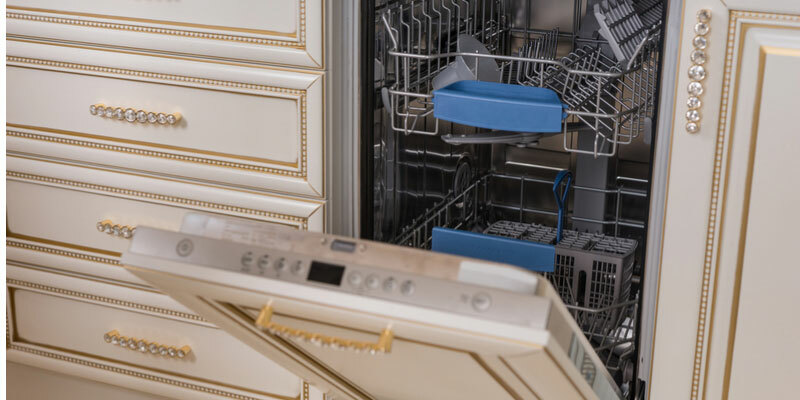 Some people prefer to integrate the dishwasher and refrigerator, with the oven and microwave as featured built-ins, providing a fresh, modern look. Others prefer to integrate the dishwasher, refrigerator, and oven, while allowing the stove top in plain view. 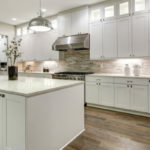 Others still, don’t want their black, white, or other color appliances showing and integrate all appliances to achieve a cozy and warm kitchen that is timeless and not dated. If you aren’t sure what would look best in your home, your kitchen designer can certainly help, offering up sound and on trend advice. 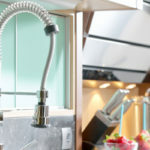 While not a simple answer, let’s explore some of the reasons that can help you decide whether you should use integrated appliances in your kitchen design. 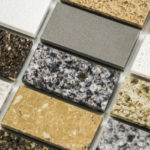 Budget – Your budget may or may not be a prime consideration in your new kitchen design, but keep in mind, the more integrated the design, the higher the overall cost. Personal Preference – Your personal style is always a consideration during any home design you undertake. The Future – Should you choose to sell your home in the future, integrated appliances will add value. In addition, your lovely, streamlined integrated appliances will likely give you added bargaining power when it comes to getting your asking price or maybe more. 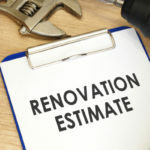 Of course, this also means you will need to buy new appliances for your new home, if it hasn’t been fully integrated. The Cost – Your new kitchen design plus the cost of fully integrated appliances may affect your budget. But you could sell your older, still in working order appliances on Craigslist or eBay and use that money to help with cost concerns. The Size – Fully integrated refrigerators are slightly smaller than their non-integrated counterparts, so as to fit into the unit housing. If more space is needed, then a fully integrated refrigerator may not be the best choice for you, but many people find the space differential is so small and the benefits so great – an integrated fridge is the perfect choice. The Height – Keep in mind that installing your integrated appliances, the countertops and workspace will need to be tall enough to accommodate the appliances and still give you the ideal height for working and preparing your food on. The Style – Integrated appliances are designed to fit with nearly any style choice – from modern to rustic to industrial to sophisticated.